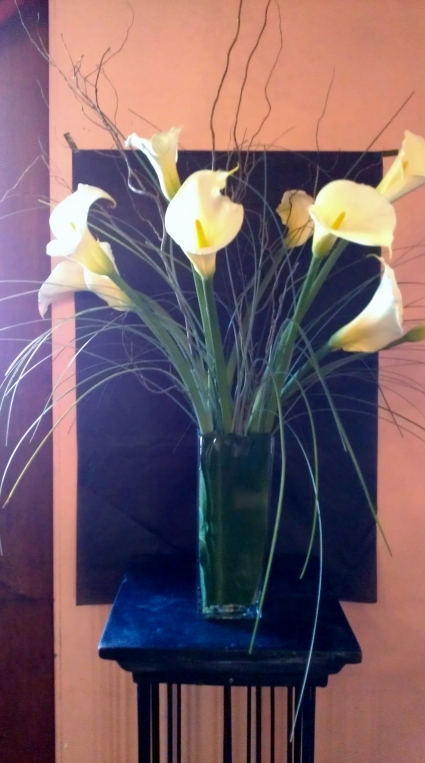 Send flowers like these long, slender white calla lilies with bear grass & wrapping in banana leaves nestled in a tall vase as an opening night gift or an anniversary celebration. 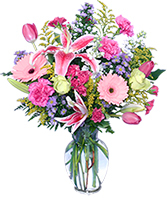 Packed full of flower luxury, this birthday bouquet includes lilies, gerberas, tulips, roses and asters. 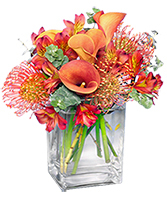 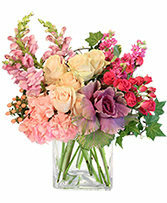 Have your happy birthday flower gift delivered today!